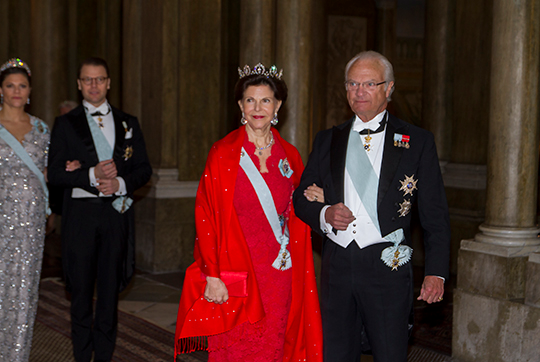 The annual Representatives Dinner was hosted by King Carl XVI Gustaf of Sweden yesterday evening in Stockholm, and three glittering tiaras were on display. 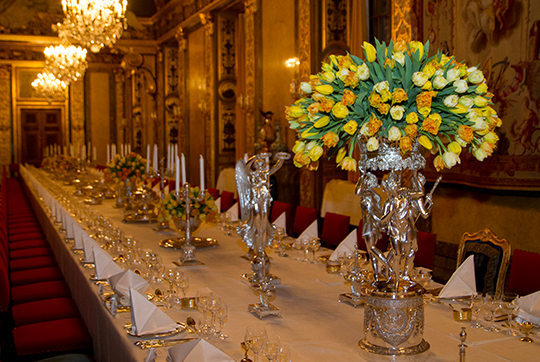 You can read more about the invited guests (and even the silver service used) over here. 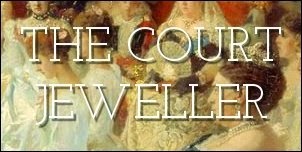 Queen Silvia wore the Connaught Diamond Tiara with a diamond riviere (and pendant) and diamond earrings. 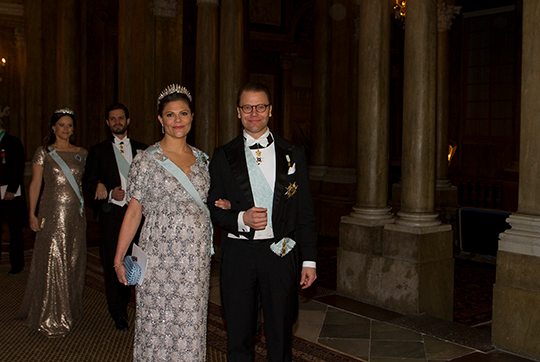 Crown Princess Victoria wore her favorite tiara, the Baden Fringe, with one of the family's large diamond brooches. 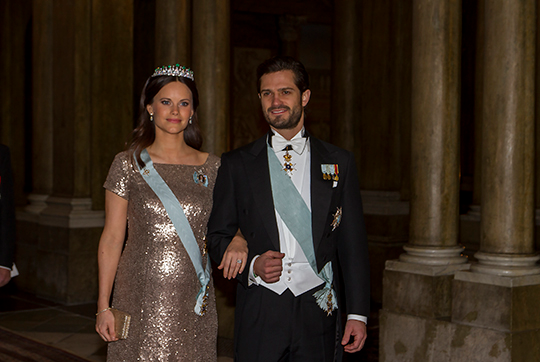 And Princess Sofia, surprise surprise, wore her diamond and emerald wedding tiara. I think this is the most successful outing of the tiara yet -- her hair is particularly good on this occasion -- but I'm beyond ready to see her in another sparkler. Why in the world haven't they let her go voyaging through the vaults yet?? ?